Noida: The Gautam Budh Nagar administration has issued a ban on the movement of horses in the district after two of the animals in Jewar were found to have been affected with glanders — an infectious disease which potentially spreads to humans if in direct contact with horses. The order has put band parties and horse traders in a fix in the wedding season as they have taken bookings. Sources said that of the 1,300-odd horses in the district, only 253 were “randomly chosen” and two were found to have been infected with glanders. SK Dwivedi, chief veterinary officer, told TOI the two horses belonged to a trader named Wajid Ali. Alarmed by the report, a team from the health department visited Ali’s house on Thursday and conducted tests on his family. Sources said the samples had been sent to the National Research Centre on Equines in Hisar for testing and a report would be prepared in 15 days. “We read news reports on glanders and that horses have been banned in the district. But this is a wedding season and bookings have been made. We are having arguments with customers every day. Some customers are pressuring us for horses as the weddings draw nearer,” said a band-wallah in Sector 22. The band-wallahs said they are being forced to call horse traders in neighbouring Hapur and Ghaziabad to meet the demand. “I own only two horses and got them tested. Bur since horses are much in demand for weddings in Noida and Delhi, we have to call horse traders in Hapur and Ghaziabad. I have cancelled two weddings as I do not have horses to provide,” said Chaman Lal, a band-wallah in Harola. NOIDA: The Noida Authority has said it has completed its target of pulling in entrepreneurs who will invest around Rs 10,000 crore in the city, a week ahead of the Uttar Pradesh Investors’ Summit scheduled on February 21-22 in Lucknow. The UP government had assigned a target of Rs 35,000 crore to the three development authorities of Gautam Budh Nagar — Noida, Greater Noida and the Yamuna Expressway. The state has set a total target of Rs 2 lakh crore to be achieved during the summit. According to the officials, of the 132 investors in Noida, the major players were Paytm (Rs 3,500 crore), Tata Consultancy Services (Rs 2,300 crore), OSE Infrastructure (Rs 1,000 crore), SS Technopark (Rs 1,000 crore), Dharampal Satyapal (Rs 500 crore), Haldiram Snacks (Rs 400 crore), Kent RO systems (Rs 200 crore), KK Industries (Rs 152 crore), Aditya Infotech (Rs 140 crore), Galaxy Ventures (Rs 100 crore) and Uflex (Rs 90 crore). Officials said about 300 acres had been earmarked for the entrepreneurs to set up shop. Most of this land is located along the Noida-Greater Noida expressway, while some of it is in the old industrial sectors of the city. “We want Noida to be the gateway for industrial development,” said Alok Tandon, the chairman and CEO (CCEO) of the Authority. “In January this year, we launched an industrial scheme across sectors 155, 156, 157 and 159, where most of the land will be allotted. The aim is to provide entrepreneurs with a conducive environment for setting up industry and to propel industrial growth,” he said. “Industrial growth leads to development of an area. We will pull industry not only from other parts of the country but also globally to put Noida on the industrial map,” he added. NOIDA: Residents of Noida and neighbouring areas have complained that the water being supplied to them is inadequate and of poor quality, at a time groundwork is in progress for the third phase of Ganga water supply to be delivered by 2020. On Thursday, thousands of residents of Sector 11 complained that they had been getting dirty, yellow water for over a week. The residents said they had made complaints to the authorities but to no avail. We are getting dirty water for the past seven days. Forget drinking, the water is not suitable for bathing or even washing clothes. Though we have given complaints numerous times, there no action has been taken by the Jal Board, Noida, said Suresh Krishnan, RWA general secretary of Sector 11. Atul Kumar, project engineer, Jal 4, said the problem was not a week old, only for two days. Water supply will be fine from tomorrow, Friday morning, Kumar said. NOIDA: In a late-night drive against encroachment, Noida Authority confiscated nearly 40 food vans operating illegally from five work circles in the city. The move follows commencing of an anti-encroachment campaign launched from February 6. Any encroachment on Noida’s notified land now invites hefty fines ranging from Rs 2,500 to Rs 50,000 by the Noida Authority besides impounding of property. According to Noida Authority officials, the drive lasted from 9 pm on Friday night to 6 am on Saturday morning amidst heavy police presence. “Our teams scoured their respective areas and seized the food vans,” said RK Mishra, Additional CEO(ACEO), Noida Authority. “The food vans are now being kept in an open ground in sector 34 of the city. Their owners have been fined Rs 1.34 lakhs as fines for operating illegally. They will be charged additional fines amounting to Rs 30,000 for each van when they come to retrieve them from our custody. They will also have to submit a bond to us that they will never again operate the food van,” he said. “Noida does not allow food vans in the city,” he added. As per the nodal officer of the anti-encroachment cell of Noida, KR Verma said that the Authority was getting frequent complaints that food vans were being operated in the city with the help of some employees. “Following the complaints, Authority ACEO made a plan to rid the city of the vans. Three teams from the cell inspected areas including sectors 62, 63, 34, 52, 58, 24, 11, 12, 27, and 18 and took action,” Verma said. “These food vans are unauthorised and cause traffic congestion across the city’s streets besides posing a health hazard to people who consume food from them,” he added. Since Noida Authority launched its drive across all categories of land use in residential, commercial, industrial and institutional areas, under the scanner are food vans, gen sets, vendor carts, water dispenser trolleys, makeshift food counters, etc. Even a 4-wheeler or 2-wheeler parked in public places or non-designated spaces will be seized and owners would be fined Rs 5,000 and Rs 2,000, respectively if found parked in public places or non-designated areas. Second time encroachment by the vehicles will invite fines of Rs 8,000 and Rs 4,000. Anyone aiding in encroachment of public land will be fined Rs 50,000 by the Noida Authority. NOIDA: High electricity tariff in builder apartments was one of the major issues raised by consumers at a meeting held by the Noida power department under PVVNL, Meerut division, in the city on Friday. Consumers in high-rises also demanded individual power connections and the need for a few transformers to increase load capacity. The public hearing by the Noida power department was held at Indira Gandhi Kala Kendra in Sector 6 and aimed at addressing all issues relating to consumer redress, such as billing, new connections, load increase/upgrade, meters, voltage fluctuations and so on. “A majority of the complaints were related to builder connections at higher rates as four to five RWAs as well as residents from high-rise societies broached the topic. We are aware of the issue as the Vidyut Lokpal had said that the matter is being looked into by the Uttar Pradesh Electricity Regulatory Commission. A decision is expected in a month’s time,” said Rakesh Kumar Rana, the superintending engineer of PVVNL. Earlier this month, TOI had reported that UPERC is currently deliberating on a module to provide direct power connections in housing societies and that which will be acceptable to the builder, consumer and the regulatory discom/power department. 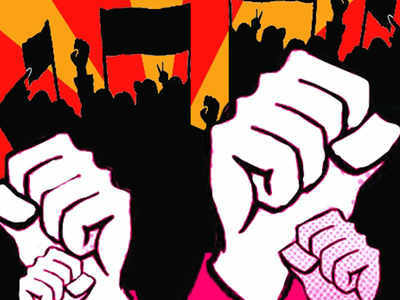 RWA, residents fight over ‘podium’ at highrise Shafaque Alam| TNN | Feb 19, 2018, 07:15 IST GREATER NOIDA: A group of residents and RWA members got into a tiff on Sunday morning for allegedly removing four iron pillars around a podium for deities in a highrise society in Chi III in Greater Noida. Binno Malhotra, the complainant, said some society residents had constructed the podium in the society during Shivaratri last year. “We had placed four statues and a Shivalinga at the spot. Devotees used to offer prayers during festivals and religious occasions. They also participated in Shivaratri last week,” she said. Some residents had collected donations and decided to make a dome over the podium. Two days ago they placed four iron pillars around the podium to place a fire dome over it. However, the society’s RWA objected to the illegal construction and advised against this. The residents ignored the advice and proceeded with their plan. On Sunday morning, these residents found the podium ‘vandalised’ and the four iron pillars missing from the spot. “They also damaged the donation box and some stuff used for decorations. Shivalinga and the statues were not touched,” Malhotra said. She visited the spot and found someone had cut the pillars with a machine. “This was done on the directions of RWA members,” she alleged. “A group of people were planning to build a temple on the premises while others opposed the idea. We do not know who removed the structure at night,” said a local. There are around 240 flats in the society. Malhotra filed a police complaint stating the incident had hurt religious sentiments. B K Sharma, SHO Kasna police station, said the construction of the podium and dome was not authorised. “The RWA members had not given permission. They were also against the group’s decision to construct dome at the spot. Some RWA members removed curtains, rods and other items at night. There was no vandalism to the deities,” he said. Police pacified the two groups and launched an investigation into the matter. Society’s RWA President, Surya Pratap Sethi said he was in Mumbai for a business meeting and cannot comment on the issue. The other RWA members also distanced themselves from the matter and refused to comment. 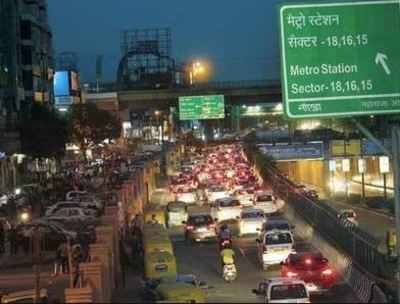 NOIDA: The district magistratehas written a letter to Noida Authority to improve to improve traffic situation and clear encroachment in the city. DM BN Singh said that the UP government has made a committee over the issue. A district-level sub-committee has also been formed. “I have given my suggestions to make a Nodal officer in Noida and take necessary action to address these two issues which need urgent attention,” he said. The magistrate said that there should be coordination between the traffic police, city police and Noida Authority’s traffic department. “The officials concerned should hold a weekly meeting and resolve the issues,” he said. Singh said that he personally inspected some areas and found the roads were illegally encroached, as some people park their vehicles along the roads. “This slows down traffic leading to a heavy jam. The vendors also occupy parts of the roads. They should also be located in some other places to ensure smooth traffic flow,” he said. He also observed that the Noida Authority should make separate department like Delhi’s NDMC and MCD, to deal with this issue. “I also suggested that there should be a training centre in Noida enforcement officials,” he said. The Noida Entrepreneurship Association had raised these issues before the ADG Law and Order Anand Kumar in the meeting on Thursday. NEW DELHI: Real estate giant Amrapali group has sought the Supreme Court’s permission to rope in other builders to complete its various housing projects , acknowledging it was not in a position to complete them to hand over possession of flats to over 42,000 home-buyers. Facing insolvency proceedings initiated against it by the creditor bank for not repaying the loan, the company in an affidavit told the court that the projects could be completed and possession handed over to buyers in a timebound manner if its properties were permitted to be developed with the help of co-developers. It said many companies had expressed interest in taking over the projects. “Apart from the massive inventory which has been sold and is at various stages of development, the ongoing projects of Amrapali group have vacant land available (earmarked for future development) which can be developed with the assistance of co-developers and, subsequently, sold to prospective buyers. This would provide for the necessary liquidity and cash flows for payment to the creditors and also investments in projects that unfortunately have negative cash flows,” the company said in its affidavit. “The applicants are humbly praying to the court to allow co-developers to come in to construct, develop and deliver homes in certain under-construction projects of the group,” the affidavit said. As Amrapali failed to give possession of flats and buyers are facing uncertainty with its sister firm facing insolvency proceedings, a batch of petitions was filed by advocate M L Lahoty on behalf of more than 100 flat-buyers who had booked homes in Amrapali’s various project in Noida and Greater Noida, including Amrapali Centurion Park-Low Rise project, Amrapali Centurion Park-Terrace Homes and Amrapali Centurion Park-Tropical Garden. They approached the court after National Company Law Tribunal (NCLT) initiated Corporate Insolvency Resolution Process and the tribunal restrained the company from transferring or disposing of its assets on a plea of Bank of Baroda which had given loan to the company. Agreeing to hear their plea, the SC had decided to intervene to protect their interests and directed the company to give a roadmap to hand over the flats or refund money to the buyers. The group filed its affidavit in compliance to the apex court’s order to file comprehensive plan on how it intended to complete the housing projects and hand over flats to buyers. The court had said that its top priority was to protect the interests of home-buyers who had invested their lifelong savings. The company said, “The plan will not only provide for speedy construction of houses but would also facilitate and ensure payments to all the creditors, including those who have already approached the NCLT for insolvency proceedings.” It pleaded the court to stay the insolvency proceedings to facilitate it to take help of other real estate companies to complete the projects. 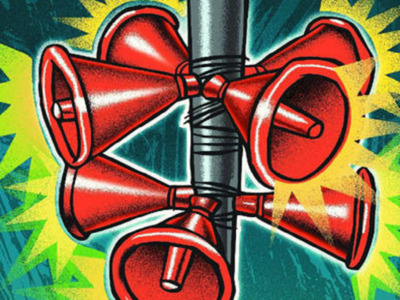 NOIDA: The RWA federation has written to SSP Love Kumar and district magistrate BN Singh alleging that loud music is being played late in the night at community centres during the wedding season. They said numerous complaints had been filed by residents saying that elderly people and children were not being able to sleep while students could not prepare for the exams. “There is serious disturbance being faced by many citizens across the residential sectors due to uncontrolled and unhindered loud music in community centres during weddings and other programmes. Orders from chief minister Yogi Aditya Nathagainst use of loudspeakers as well as a Supreme Court verdict of a 10pm deadline are being violated regularly,” said AN Dhawan, the secretary-general of the Federation of Noida Residents Welfare Associations (FONRWA). The RWA federation has sought necessary directives to the patrolling police teams to ensure that the volume of sound systems was kept low and restricted to the 10pm deadline as stipulated by the apex court. When the news that real estate major Amrapali is headed towards insolvency first became public last year, the three directors of the group ─ Anil Kumar Sharma, Ajay Kumar and Shiv Priya ─ had assured buyers that they "intend to complete all our ongoing projects", and were "not running away from the country”. Following a restraining order from the Supreme Court (SC) which directed them not to leave the country, the three had submitted their passports to the Noida District Authority, along with a six-page letter, in August last year. In their letter, the promoters assured buyers that the company was "making efforts to deliver all flats by 2020". Terming it a complicated case, the SC on January 31 asked Amrapali to show it a comprehensive plan as to how it planned to complete its stuck projects. Going by the recent response of the company, it is hard to say whether the company would be able to deliver its promise within that deadline. On February 20, the trouble-hit group sought the SC’s permission to take help from other developers to complete projects as it was “not in a position to do so and hand over possession of flats to over 42,000 homebuyers in a time-bound manner”. The company told the apex court in an affidavit that several players have shown interest in assisting it finish the projects. Days before this development, real estate major Supertech announced its plans to partner with other builders to complete their stuck projects. According to media reports, the group has a standing liability of Rs 1,000 crore to about 10 banks. It also owes about Rs 3,000 crore to Noida and Greater Noida authorities, the areas where the group has been most active. To complete its various ongoing projects, the company would require about Rs 3,000 crore. “Apart from the massive inventory which has been sold and is at various stages of development, the ongoing projects of Amrapali group have vacant land available (earmarked for future development) which can be developed with the assistance of co-developers and, subsequently, sold to prospective buyers,” the company said in its affidavit submitted to the SC. "This would provide for the necessary liquidity and cash flows for payment to the creditors and also investments in projects that unfortunately have negative cash flows,” the said. "The plan will not only provide for speedy construction of houses but would also facilitate and ensure payments to all the creditors, including those who have already approached the NCLT for insolvency proceedings," it further added. 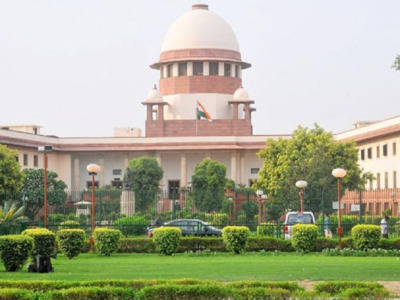 The apex court is hearing a plea filed by Amrapali Silicon City Flat Owners Welfare Society against an order of the National Company Law Tribunal (NCLT) that admitted Bank of Baroda's insolvency petition against Amrapali's Silicon City project in Noida. The NCLT had admitted insolvency proceedings against the group, and appointed an interim resolution professional to manage the affairs of the company on September 4 last year. NEW DELHI: In an unprecedented intervention, the Supreme Court on Wednesday took over the supervision of construction of all viable projects belonging to Amarapali group, a huge relief to 43,000 home-buyers who have booked flats with the realtor and were facing uncertainty because of insolvency proceedings against it. 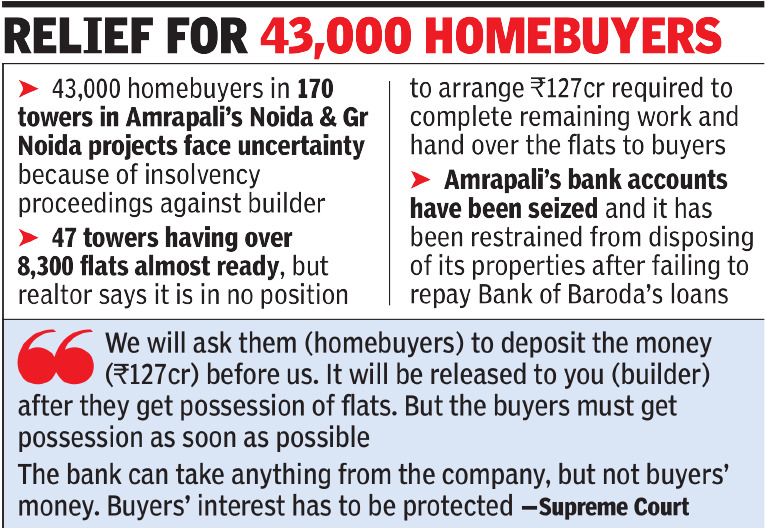 A bench of Justices Arun Mishra and Amitava Roy said home-buyers would deposit the remaining instalments for their flats with Amrapali projects in the SC registry, which could release the money to the realtor on completion of the projects to ensure there was no diversion of funds. The buyers could not pay home instalments as the realtor's bank accounts have been frozen as part of insolvency proceedings. The hearing saw the court expressing concern over the interest of home-buyers being neglected in insolvency proceedings against real estate companies and questioned how money deposited by buyers could be frozen in such proceedings. "The bank can take anything from the company but not the buyers' money. That money is of someone else and the buyers' interest has to be protected. We are concerned only about their interest. If there is a need to settle the law on this issue then we will settle it," the bench said. Amrapali's under-construction housing projects include 170 towers in Noida and Greater Noida. The company is facing problems in completing the projects as its bank accounts have been seized because of insolvency proceedings initiated by Bank of Baroda for failure to repay loans. The realtor has been restrained from disposing of its properties. Amrapali's counsel, senior advocate Ranjit Kumar, told the bench that the firm is facing severe financial crunch and was not in a position to complete the projects. He sought the SC's permission to rope in other builders to invest and complete the projects. Kumar said 47 towers having over 8,300 flats were almost ready but the company was in no position to arrange Rs 127 crore required to complete the work and hand those over to buyers who have to pay Rs 130 crore for getting possession of finished flats. The bench said buyers could be allowed to deposit the money in the SC and it could be released to the company after the completion of projects. It also said the court would the hear the plea of flat buyers on a project-wise basis to ensure that their grievances were addressed without delay. "We ask them to deposit the money before us and the money will be released to you after they get possession of their flats. Buyers must get possession of flats as soon as possible. We also have to take a practical approach in dealing with the case as there are many buyers and we will examine the issue on project-wise basis," the bench said. The court directed the company to furnish information on how much money it had received from buyers over the years and how much of it had been invested in projects. The bench also asked it to give details by Thursday on how much of buyers' money had been frozen in the insolvency proceedings. 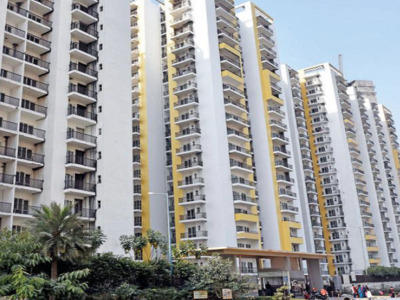 As Amrapali failed to give possession of flats and buyers were facing uncertainty with its sister firm facing insolvency proceedings, hundreds of buyers, who had booked homes in Amrapali's various projects in Noida and Greater Noida - including Amrapali Centurion Park-Low Rise, Amrapali Centurion Park-Terrace Homes and Amrapali Centurion Park-Tropical Garden - moved the SC. They approached the court after National Company Law Tribunal (NCLT) initiated corporate insolvency resolution process and the tribunal restrained the company from transferring or disposing of its assets on a plea of Bank of Baroda which had given loan to the company. NOIDA: The Union environment ministry has asked Noida Authority to adopt immediate measures to mitigate pollution. These include cleaning the city’s streets mechanically and establishing a permanent helpline number to receive pollution-related complaints. Officials said Noida Authority has also been asked to submit an action plan to alleviate pollution levels in the city to the ministry within 10 days, besides a performance report every month. The meeting between officials from Noida Authority, Gautam Budh Nagar district administration, the UP Pollution Control Board and the Union ministry of environment, forest and climate change (MoEF&CC) took place in Delhi on Tuesday. 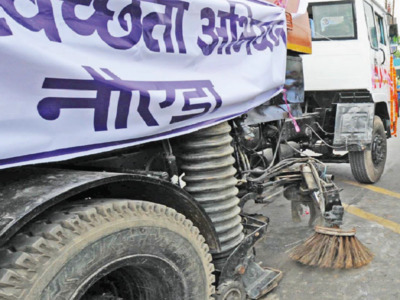 “Sweeping with brooms across 24-metre-wide roads will henceforth be stopped. These roads will be cleaned mechanically,” said Rajesh Singh, officer on special duty (OSD), Noida Authority. “Currently, we have only two mechanised vehicles which clean six main roads of the city. If we have to undertake the cleaning of all roads with width from 12 metres to 32 metres, we will have to procure additional machines,” he said. “On Wednesday, I have asked all work circle project engineers to carry out a detailed survey and within a week identify all roads measuring 12, 18, 24 and 32 metres so that we can arrive at the number of mechanised vehicles we need to purchase for cleaning,” Singh explained. “Once I have all the details, we will initiate a tender and procure the vehicles,” he added. Singh said a helpline number will also be established as directed by GK Mishra, Union environment secretary. “To control dust pollution, as per the ministry guidelines released in 2010, it is mandatory for construction sites to put sheets on construction material, sprinkle water on dust and not ferry construction material in open vehicles to contain air pollution. All these norms will be enforced,” he added. The green ministry has further directed that the entire mitigation plan should be in place within the next 10 days, by March 1. “We have been asked to submit our plan of action in the next 10 days. A performance report will also have to be submitted by 7th of every month to the ministry,” the OSD said. 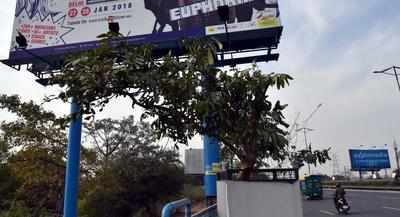 NOIDA: The DND Flywaymanagement has paid a fineof Rs 4 lakh to the district forest department for illegally pruning 46 trees to improve the visibility of hoardings along the stretch. The operator has also urged the forest department to withdraw its complaint to police. TOI had on February 1 reported that a case was filed against the flyway operator after the district forest department carried out an inspection and found largescale pruning of trees along the stretch. The FIR was registered at Sector 20 police station under sections 4 and 10 of the Uttar Pradesh Protection of Trees in Rural and Hill Areas Act, 1976. Kitab Singh, range forest officer, said on Wednesday, “Sushant Jain, a manager of NTBCL, DND Flyway operator, has paid the compounding fee of Rs 4 lakh through a cheque. The company has requested us to withdraw the police complaint in this case.” Singh said the state trees protection act has provisions of reconciliation after the compounding fee is collected from the violator. “We will write to Noida police and inform about the matter. We will initiate a proceeding to withdraw the case,” he said. The forest department had initially sent Dadri range officer DK Goyal for spot inspection after getting a complaint of tree pruning from an environment activist, Vikrant Tongad. Goyal, however, filed a fake report, claiming there was no pruning. However, further investigations revealed there was pruning and the official was suspended. 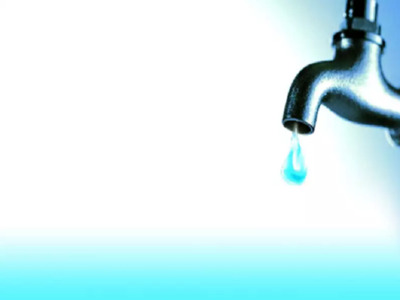 NOIDA: Officials of the Noida Authority on Wednesday said no decision has been taken yet on increasing water tariff. “No final figure is ready for a proposed tariff hike in water rates,” S C Arora, senior project engineer of Noida Authority, told TOI on Wednesday. This came after a news report stated that there would be a likely 160% rise in water tariff soon. Arora denied the figure. Private firm Ernst and Young has been hired to tabulate the existing water connections and an impending increase following the growth in population and increased realty possessions. “Any tariff increase will only be finalised in the next financial year — after March 2018 — after studying the report which is yet to be submitted by Ernst and Young. Currently they are collecting data from neighbouring areas as well as across Noida. They are likely to submit their report by March first week,” Arora told TOI. Though Arora admits that the Authority is mulling an increase in water tariff after March 2018, nothing is final yet. “We have not given any figure as of now for increase in tariff rates for water,” he said. Meanwhile, residents opposed the proposed tariff hike citing poor quality and quantity of the water supplied. They demand corrective steps be taken before the traiff is increased.